Dr. Collard has ISO Solar Viewing Glasses for you. Stop by and get your free pair. NO APPOINTMENT NEEDED!!!! Tell your friends, neighbors, and family to stop by and pick up a pair for themselves. Why is this solar eclipse such a big deal? Here are some facts to get you excited. This will be the first total solar eclipse in the continental U.S. in 38 years. The last one occurred February 26, 1979 and due to weather conditions many did not see it. Everyone in the continental U.S. will see at least a partial eclipse. The moon will cover at least 48% of the Sun’s surface. Here in West Jordan the moon will cover 92% of the sun’s surface. In order to view a total eclipse you would need to be just 3 hours north. The first phase and start of the eclipse will begin at 10:13 am Monday August 21st. The Max Phase will be at 11:33 am. The end phase will be at 12:59pm. Watch how the animals behave. The total eclipse may startle an animal and change their behavior thinking that it is night time. Feel the temperature drop. The eclipse will create a quick temperature drop much like someone standing in front of your heat at a camp fire. If you miss this solar eclipse on the 21st, the next one will occur April 8th, 2024. If you travel to it’s path between Texas and Maine. The next time the solar eclipse will follow a path for all lower 48 states to view will be in about 1,000 years. 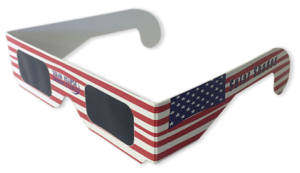 To view the eclipse safely you must have NASA approved glasses with “ISO” icon with reference 12312-2 on the glasses. This truly may be a once in a life time in our area. Hopefully this has gotten you as excited as we are. Check out these links and our sources for more information.